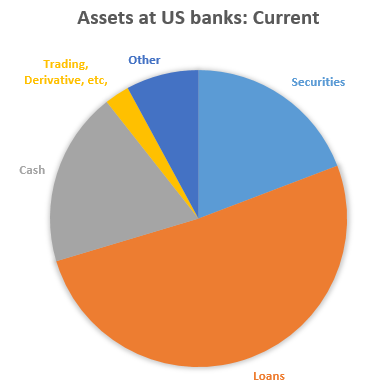 Here are some updates to the recent discussion on loan growth weakness relative to rising deposit balances at US commercial banks (see post). 1. Loan growth rate in the US, while better than in the Eurozone, remains on a downward path. The latest figures suggest that loans are increasing at less than 2%, while deposits continue to grow at 6-7% per year. 2. 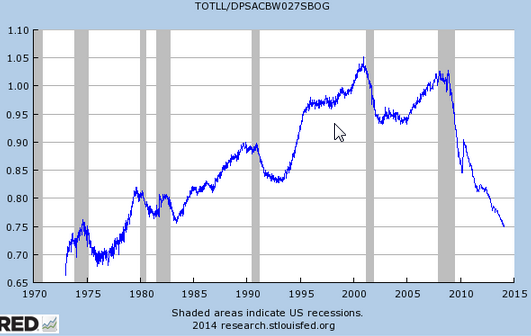 Loan-to-deposit ratio in the banking system hit a 35-year low recently. 3. 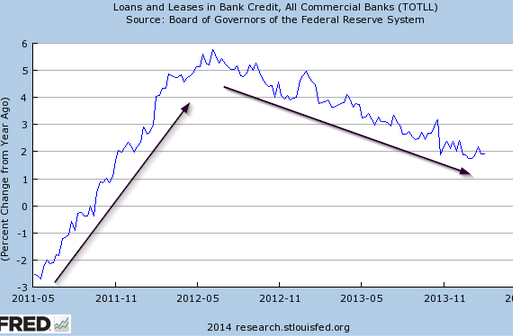 Loans as a percentage of banks' total assets are at 52.2% - the lowest level on record. 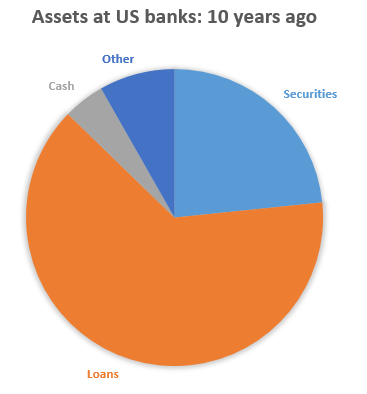 Just to put this into perspective, here is the breakdown of bank assets now vs. 10 years ago.